Prosecutors announced Friday they will seek the death penalty against an admitted gang member accused of killing his cousin in East Los Angeles and then opening fire on two Whittier police officers, killing one and wounding the other. Michael Christopher Mejia, 27, is charged with the Feb. 20, 2017, killings of Officer Keith Boyer, 53, and of his own cousin, 47-year-old Roy Torres. 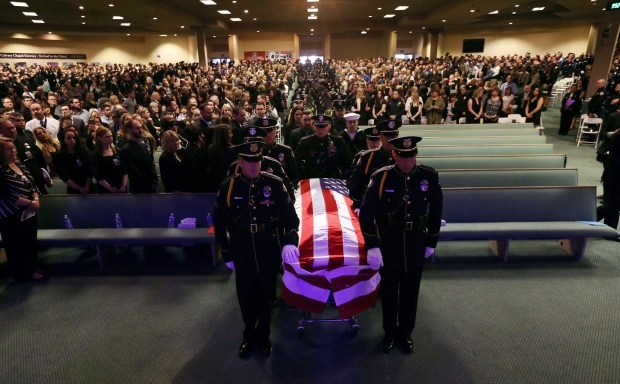 The murder charges include the special circumstance allegations of murder of a peace officer in the performance of his duties, murder for the purpose of avoiding arrest and multiple murders. Mejia is being held without bail and was ordered to return to a Norwalk courtroom on April 6 for a pretrial hearing. During a preliminary hearing last June, an audiotaped interview with Mejia was played in court, in which he is heard telling detectives that he "smoked" the officer and his cousin and "shot another cop." "I guess you guys have everything down -- smoked my cousin, smoked the cop. ... I mean, what else do you guys want? I shot another cop," Mejia is heard saying during the 48-minute interview in a hospital jail ward eight days after the killings. During the early part of the taped questioning by sheriff's Detectives Dean Camarillo and Omar Miranda about the killings, Mejia initially said, "I don't honestly remember doing none of that ... I was high on drugs ..."
But he later told the detectives, "I did it, I mean, I did it ... both of 'em, all three of them had it coming," adding that the "officer got too aggressive with me." 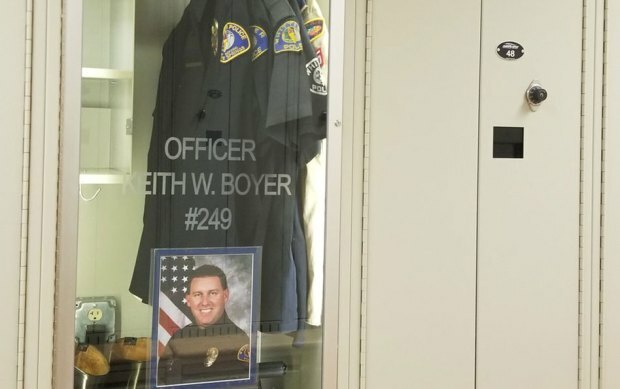 Boyer -- the first Whittier officer killed in the line of duty in 37 years -- was shot when he responded shortly after 8 a.m. to a report of a traffic collision near Colima Road and Mar Vista Street in which Mejia had allegedly been involved. Mejia allegedly pulled out a semi-automatic handgun and fired at Boyer as well as Officer Patrick Hazell, who was shot in the abdomen but survived. Mejia was shot in the back. He told detectives in the Feb. 28 taped interview that he was trying to flee after the crash, but "the cops came right behind me, within two minutes." He said the arriving officers did not have their guns drawn when they approached. "I delayed it. I should have smoked 'em quicker," he is heard saying on the tape, telling the detectives later that "they didn't come out with both guns pointed 'cause if they would have come out with both guns pointed, then it would have been a whole different ball game." Asked by detectives if he had anything to say to the Whittier Police Department, Mejia said, "I mean, train your guys better. Train your guys better. They just got a taste of an L.A. gang member, real L.A. gang member. You know what I mean? And, nope, I don't feel sorry. Because I know they would've dropped me, they wouldn't feel sorry for my family." When asked by homicide investigators about what happened with Torres, the defendant said that his cousin should have "kept his nose clean" and said that he had "warned him," according to the tape. In addition to the murder counts, Mejia is also charged with one count each of attempted murder of a peace officer, carjacking and possession of a firearm by a felon with two prior convictions: second-degree robbery in 2010 and grand theft auto in 2014. 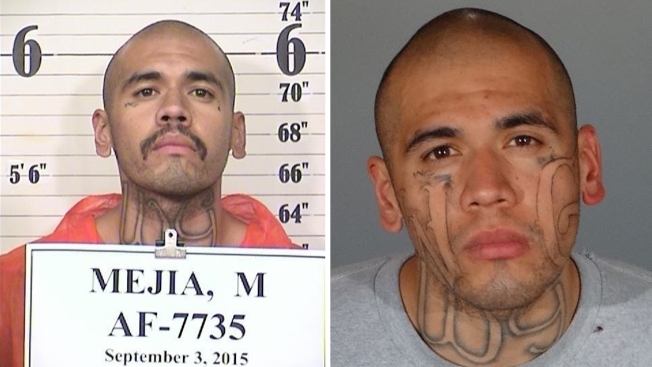 The charges also include allegations that Mejia personally and intentionally discharged a handgun and that he committed the crimes "for the benefit of, at the direction of, and in association with a criminal street gang."